The article deals with topical issues related to the transformation of economic sovereignty in terms of ensuring the external economic security of the state within the framework of membership in international financial and economic organizations. Since the beginning of the XXI century, almost all countries of the world, including Russia, have accelerated the pace of opening their economies. With this initiative, they expected the introduction of a new driving force in the process of domestic economic development and the creation of new market opportunities. States to varying degrees have integrated their domestic economies into the global market. However, for any country, opening the economy to the outside world is not free. The national economy will inevitably be subject to certain costs, which will affect the increase in value and the same time be perceived as weakening the country's «economic sovereignty», namely, the erosion of permanent and exclusive privileges over its economic activity and national resources. The increase in the number of international financial and economic organizations and the expansion of their functions naturally limit the sovereignty of a particular country. The most typical example is the ever broader penetration of the following organizations: the Bank for International Settlements (BIS), the World Bank (WB), the International Monetary Fund (IMF) and the World Trade Organization (WTO) into the internal economic affairs of their members. In the conditions of world economic globalization, many underdeveloped countries are forced to resort to foreign aid and intervention, which, however, will lead to the fact that their governments will be deprived of control over their own economies. In this regard, some scientists predict the loss of economic sovereignty in a form such as neo-colonialism. More importantly, this is the fact that some economically strong countries, such as the United States, for example, taking advantage of this, influence or violate the economic sovereignty of these countries. At the same time, economically developed countries address double standards in economic policy and apply their own self-realized theories, such as «human rights that transcend sovereignty» and «economic integration that outweigh sovereignty», to make weak countries recognize some of their inalienable privileges. However, these countries repeatedly emphasize that they should not accept international economic rules as a sacrifice of weakening and diminishing their own decision-making rights. Thus, we can conclude that the dispute over economic sovereignty is, in fact, a hidden competitive struggle for power in the world arena. In the current context of «economic openness», external economic impacts on individual countries are distributed in an unbalanced manner. From an economic point of view, Russia needs to rethink the understanding of sovereignty as a responsibility for the internal functions and external obligations of the state in the economic sphere, which includes, but is not limited to questions of the state’s external economic security. The development and normative content of the concept of sovereignty as a responsibility to protect in the economic sphere requires the continuation of scientific development, in particular, it concerns the formulation of the internal functions of the state, based on a distributed responsibility approach between: (1) by the state and supranational actors, which are international financial and economic organizations, (2) by civil society and private business, each performing its own role in the global economy. You should also pay attention to the external functions of the state to protect national interests in the foreign economic sphere, taking into account the existing actual inequality between states in terms of the development of economic infrastructure and technologies. 1. Borisov A. Big Economic Dictionary. Book World, 2010. 2. Fierke K.M. Diplomatic Interventions. Conflict and Change in a Globalizing World. – New York: Palgrave Macmillan, 2005. 3. Ilyin M.V., Kudryashova I.V. The concept of sovereignty in the past and present. Sovereignty. Transformation of concepts and practices. / a monograph. – M.: MGIMO-University, 2008. 5. Kuzmin E.L. On State Sovereignty in the Modern World // Journal of Russian Law, 2006. – № 3. 6. Kuzmin E.L. On State Sovereignty in the Modern World // Journal of Russian Law, 2006. – № 3. 7. Kuznetsova E. Escaping sovereignty: the status quo against the ideology of change. Izd,: Agram ak-Media, 2013. 8. Kuznetsova E. Sovereignty. Unshakable and indivisible? State sovereignty may be limited if it is abused by it International Life, 2004. – №№ 78. 9. Misha P. Sovereignty in an unstable environment // Communist, 1991. – № 13. 10. Pastukhova N.B. 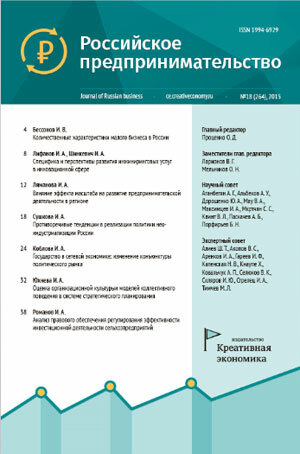 State Sovereignty in the Epoch of Globalization // Journal of Russian Law, 2006. – № 5. 11. Pellet A. Le bon droit etlivraire plaidoyer pour livraire. Remarques sur quelques problemes de methode en droit international du developpement. Le droit international: unite etdiversite, 1981. 12. Putin V.V. Meeting with members of the Governmen. Kremlin.ru. [Электронный ресурс]. 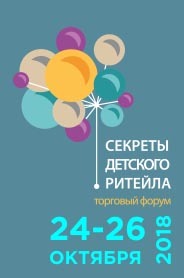 URL: http://www.kremlin.ru//events/president/news/47497 (дата обращения: 13.10.2018). 13. Raizberg B.A., Lozovskiy L.Sh., Starodubtseva E.B. Modern Economic Dictionary / 6-th ed. – M.: INFRA-M, 2017. 14. Trachtman J.P. The Economic Structure of the Law of International Organizations // Chicago Journal of International Law, 2014. – № 1–9. 15. Yurieva N.P. National economic sovereignty in the context of globalization. Thesis for the degree of Ph.D. Moscow, 2009.